The Christmas season is a special time of year at The Salvation Army. It's a time where hope is experienced by the outpouring of love from our entire Jackson community! There's a place for everyone at The Salvation Army! Each Christmas, over 2,600 individuals are served by their community through our Annual Christmas Outreach. This year, we anticipate to serve thousands with the warmth of Christmas. Our distribution includes warm clothing, toys for children age 0-14 years old and a plentiful Christmas food box with all of the fixings for a special dinner! Do you know someone who could use some extra assistance this Christmas? For anyone in need, please contact us at 806 E. Pearl St. Jackson, MI 49201 or 517-782-7185 to receive more information about our Christmas Assistance Intake Days in November and December. There will be multiple days to sign up for Christmas Assistance beginning in mid-November. Our intake will take place in our Community Center Fellowship Hall. Guests are encouraged to park in our Chapel Parking Lot and enter through our Chapel entrance for sign-up. Monday, November 12th, 2018 8:30 a.m. -11:00 a.m. / 1:00 p.m. - 3:00 p.m.
Tuesday, November 13th, 2018 8:30 a.m. - 11:00 a.m. / 1:00 p.m. -3:00 p.m.
Wednesday, November 14th, 2018 2:00 p.m. -7:00 p.m.
Thursday, November 15th, 2018 8:30 a.m. - 11:00 a.m. / 1:00 p.m. - 3:00 p.m.
Monday, November 26th, 2018 8:30 a.m. -11:00 a.m. / 1:00 p.m. - 3:00 p.m.
Tuesday, November 27th, 2018 8:30 a.m. - 11:00 a.m. / 1:00 p.m. -3:00 p.m.
Wednesday, November 28th, 2018 2:00 p.m. -7:00 p.m.
Thursday, November 29th, 2018 8:30 a.m. - 11:00 a.m. / 1:00 p.m. - 3:00 p.m.
Friday, November 30th, 2018 8:30 a.m. -11:00 a.m. / 1:00 p.m. - 3:00 p.m.
Saturday, December, 1st, 2018 10:00 a.m. - 2:00 p.m.
For questions about our Christmas Assistance Program or Intake Dates and times please contact us at 517-782-7185 or visit us at 806 E. Pearl St. Jackson, MI 49201. Help bring hope to a family this Christmas through our Adopt-A-Family Program. For more information contact us at 517-782-7185 or stop in at 806 E. Pearl St. Jackson, MI 49201. Does your church, business, school or civic group want to host a holiday drive for your neighbors in need? The Salvation ARmy relies heavily upon community-driven drives to help us serve over 2,600 people at Christmas. We are in most need of quality meats (frozen turkeys, hams or whole chickens) as well as warm clothing (hats, gloves, coats and scarves) and the fixings to go along with a nice Christmas dinner (stuffing, potatoes, canned food items). If you'd like to host a drive of some kind or make a personal donation to our Christmas Assistance Program please contact Shannon Skarritt, Development Director at 517-782-7185 x111 or shannon_skarritt@usc.salvationarmy.org. We have a host of opportunities for volunteering this Christmas. From ringing bells at our Red Kettle to sorting and assembling Christmas food boxes to serving dinner and giving hope at our Christmas outreach. There is a volunteer role just for you! 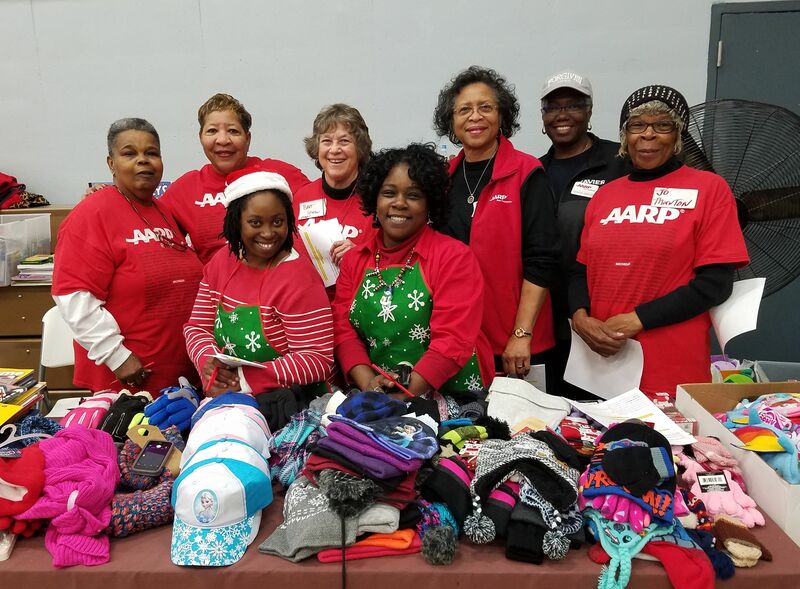 Click below to see a full listing of volunteer needs at The Salvation Army this Christmas season. Help support our Christmas partner Toys For Tots by donating an unwrapped gift for a child age 0-14 years old at one of their toy boxes located throughout Jackson County. To learn more about Toys For Tots please visit www.jackson-mi.toysfortots.org.